The MySQL database has become the world’s most popular open source database because of its consistent fast performance, high reliability and ease of use. MySQL is used by individuals, Web developers, as well as many of the world’s largest and fastest-growing organizations such as industry leaders Yahoo!, Alcatel-Lucent, Google, Nokia, YouTube and others to save time and money powering their high-volume websites, business-critical systems, and packaged software. It is often used in conjunction with PHP. Besides its undoubted advantages such as easy of use and relatively high performance, MySQL offers simple but very effective security mechanisms. Unfortunately, the default installation of MySQL, and in particular the empty root password and the potential vulnerability to buffer overflow attacks, makes the database an easy target for attacks. This article describes the basic steps which should be performed in order to secure a MySQL database against both local and remote attacks. Many known attacks are possible only once physical access to a machine has been acquired. For this reason, it is best to have the application server and the database server on different machines. If this is not possible, greater care must be taken; otherwise, by executing remote commands via an application server, an attacker may be able to harm your database even without permissions. For this reason, any service running on the same machine as the database should be granted the lowest possible permission that will still allow the service to operate. Do not forget to install the whole security package: Antivirus and Antispam, Firewall, and all of the security packages recommended by your operating system’s vendor. In addition, do not forget to spend 10 minutes thinking of your server’s physical location in the wrong location, your server can be stolen, flooded, or harmed by wild animals or running children. Consider performing some operating system hardening procedures. All sample databases and tables must be removed. The next change is to disable the use of the “LOAD DATA LOCAL INFILE” command, which will help to prevent unauthorized reading from local files. This is especially important when new SQL Injection vulnerabilities in PHP applications are found. To disable the usage of the “LOCAL INFILE” command, the following parameter should be added in the [mysqld] section of the MySQL configuration file. The default administrator username on the MySQL server is “root”. Hackers often attempt to gain access to its permissions. To make this task harder, rename “root” to something else and provide it with a long, complex alphanumeric password. MySQL comes with a “test” database intended as a test space. It can be accessed by the anonymous user, and is therefore used by numerous attacks. A very common database security recommendation is to lower the permissions given to various parties. MySQL is no different. Typically, when developers work, they use the system’s maximum permission and give less consideration to permission principles than we might expect. This practice can expose the database to significant risk. 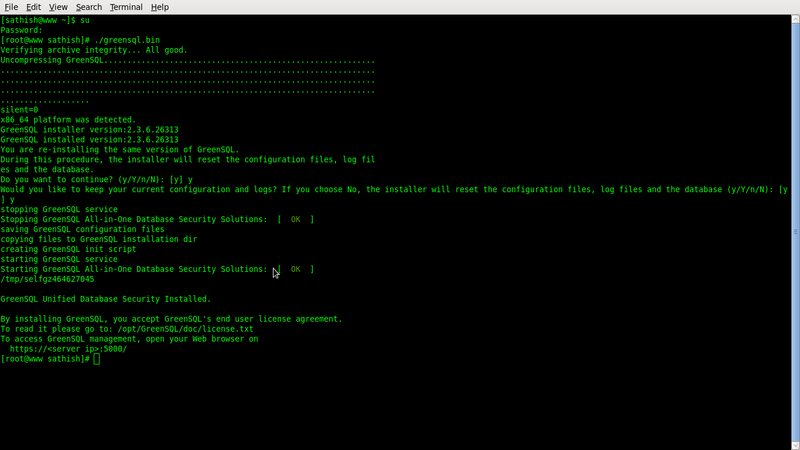 * Any new MySQL 5.x installation already installed using the correct security measures. To protect your database, make sure that the file directory in which the MySQL database is actually stored is owned by the user “mysql” and the group “mysql”. In addition, ensure that only the user “mysql” and “root” have access to the directory/var/lib/mysql. The mysql binaries, which reside under the /usr/bin/ directory, should be owned by “root” or the specific system “mysql” user. Other users should not have write access to these files. Operating system permissions were fixed in the preceding section. Now let’s talk about database permissions. In most cases, there is an administrator user (the renamed “root”) and one or more actual users who coexist in the database. Usually, the “root” has nothing to do with the data in the database; instead, it is used to maintain the server and its tables, to give and revoke permissions, etc. On the other hand, some user ids are used to access the data, such as the user id assigned to the web server to execute “select\update\insert\delete” queries and to execute stored procedures. In most cases, no other users are necessary; however, only you, as a system administrator can really know your application’s needs. Only administrator accounts need to be granted the SUPER / PROCESS /FILE privileges and access to the mysql database. Usually, it is a good idea to lower the administrator’s permissions for accessing the data. Review the privileges of the rest of the users and ensure that these are set appropriately. This can be done using the following steps. The above statement has to be executed for each user ! Note that only users who really need root privileges should be granted them. Another interesting privilege is “SHOW DATABASES”. By default, the command can be used by everyone having access to the MySQL prompt. They can use it to gather information (e.g., getting database names) before attacking the database by, for instance, stealing the data. To prevent this, it is recommended that you follow the procedures described below. 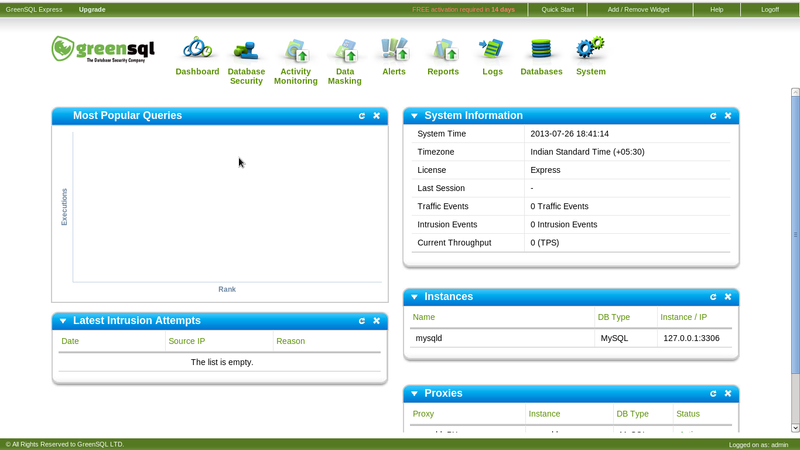 This is not recommended for heavy production MySQL servers because it causes high overhead on the server. In addition, verify that only the “root” and “mysql” ids have access to these logfiles (at least write access). Ensure only “root” and “mysql” have access to the logfile “hostname.err”. The file is stored in the mysql data directory. This file contains very sensitive information such as passwords, addresses, table names, stored procedure names and code parts. It can be used for information gathering, and in some cases, can provide the attacker with the information needed to exploit the database, the machine on which the database is installed, or the data inside it. Ensure only “root” and “mysql” have access to the logfile “*logfileXY”. The file is stored in the mysql data directory. A chroot on Unix operating systems is an operation that changes the apparent disk root directory for the current running process and its children. A program that is re-rooted to another directory cannot access or name files outside that directory, and the directory is called a “chroot jail” or (less commonly) a “chroot prison”. By using the chroot environment, the write access of the MYSQL processes (and child processes) can be limited, increasing the security of the server. Thanks to that line of code, there will be no need to supply the mysql, mysqladmin, mysqldump etc. commands with the –socket=/chroot/mysql/tmp/mysql.sock parameter every time these tools are run. During the installation procedures, there is a lot of sensitive information that can assist an intruder to assault a database. This information is stored in the server’s history and can be very helpful if something goes wrong during the installation. By analyzing the history files, administrators can figure out what has gone wrong and probably fix things up. However, these files are not needed after installation is complete. The first step of securing MySQL is to prepare the chrooted environment, in which the MySQL server will run. From the files: /chroot/mysql/etc/passwords and /chroot/mysql/etc/group we must remove all the lines except the mysql account and group. Small and medium-sized companies are often home to servers that run web applications and database management systems in parallel. An error in the web application can compromise the server or allow unauthorized access to the database through SQL injection, especially if the company lacks the staff to identify vulnerabilities and remedy them in a timely manner. 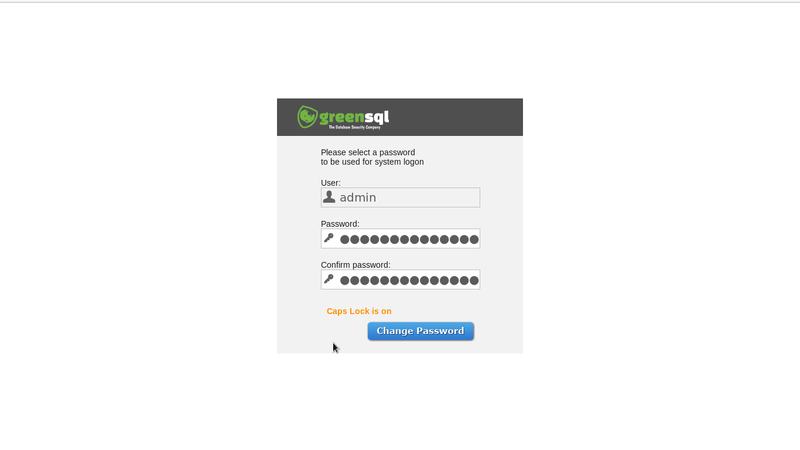 Although SQL proxies such GreenSQL offer no protection against hostile server takeovers, they can effectively prevent SQL injection. 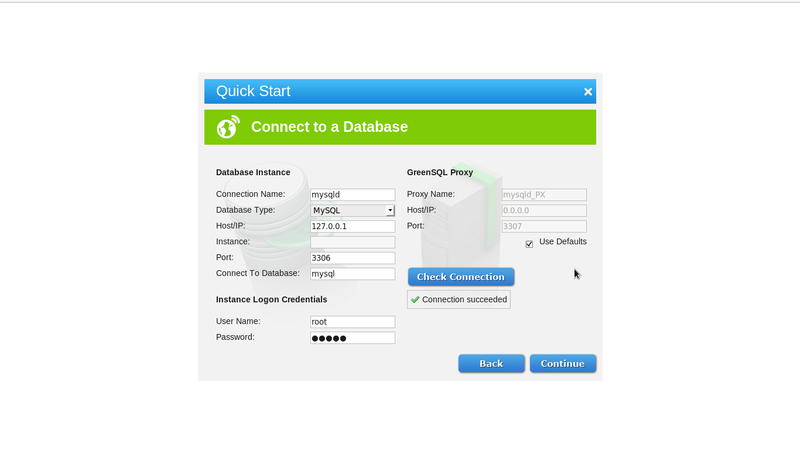 GreenSQL sits between the application and the database management system and acts as a reverse proxy or database firewall. The Security version runs on Linux can protect PostgreSQL, MariaDB, MySQL, and Microsoft SQL Server database management systems. In firewall mode, only authorized queries are passed in to the database; GreenSQL responds to unauthorized queries with an empty result set. 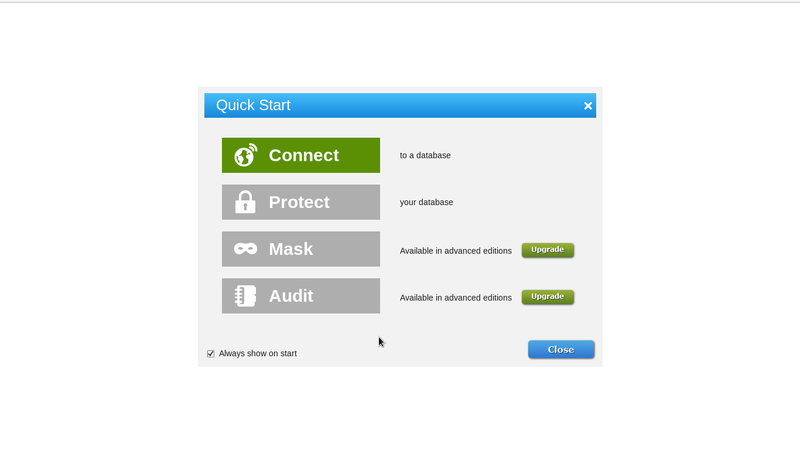 The commercial Activity Monitoring and Data Masking versions also monitor who has sent which queries to the database, or they mask certain data, such as employees or customers. In general, potential attackers will not notice that they are dealing with a proxy instead of the DBMS. 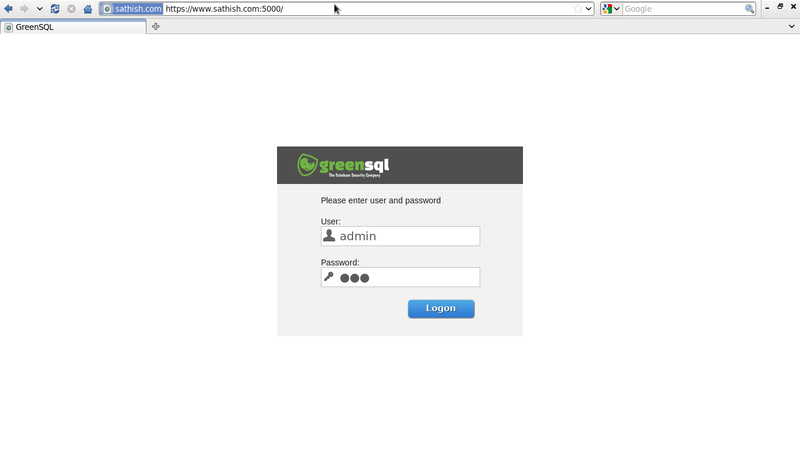 GreenSQL can operate in combination with a risk profile as an IDS or IPS. The queries themselves do not determine whether a request is allowed but, instead, result in an action taken. Depending on the configuration, the IDS blocks the database connection and informs an administrator of the alleged break-in attempt. What IDS and IPS systems have in common is that they can detect SQL injections. 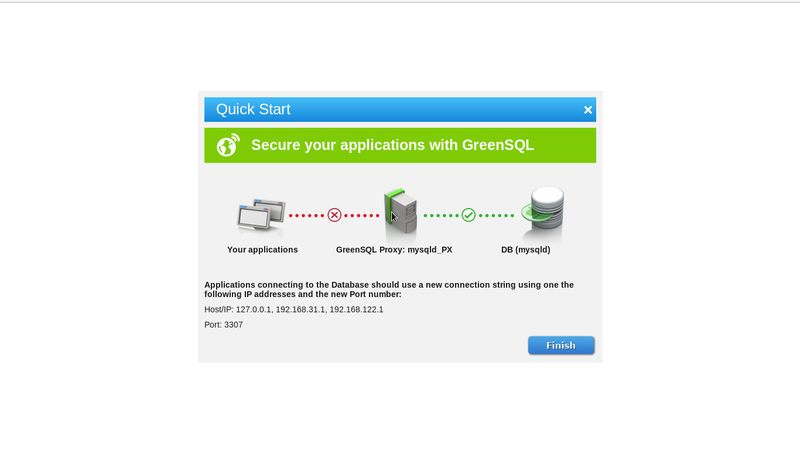 To do so, they reference a database of known attack patterns compiled by GreenSQL. Additionally, all suspicious inquiries are considered to be SQL injection. In the case of a false positive, you assign the query to the Injection Patterns query group or some other group that GreenSQL accepts as legitimate requests.